Je vends un maitre cylindre de frein, pour les SUZUKI VITARA essence de 1988 a 2000. En parfait etat de marche. La cloche est bien rouillee mais l ensemble est en bon etat fonctionnel. Part No : ADK85116. SUZUKI SWIFT 1992-05 1.0i H/b - 3dr GLS FWD 5 MTM ATM G10A AA44 Vin JSA. 01/93>12/03. SUZUKI SWIFT 1992-05 1.0i H/b - 3dr GLS FWD 5 MTM ATM G10A AA44 Vin TSM Without ABS 01/93>12/03. 072-9083 Beck Arnley « Nouveau » maitre cylindre. SUZUKI SWIFT. BRAKE MASTER CYLINDER REMOVED FROM A 2004 SUZUKI ALTO 1.1 PETROL. GLASS AND BODY PANELS. WE WILL DO OUR BEST TO RESOLVE THE ISSUE. Make sure you are buying the correct item as it is your responsibility to make sure the part you are buying will fit your vehicle. SUZUKI SWIFT Mk II Hatchback (EA, MA) 1.3 (SF 413) Hatchback Petrol 03/1989 10/1996 FWD 8 69 51. SUZUKI SWIFT Mk II Hatchback (EA, MA) 1.3 (SF 413) Hatchback Petrol 06/2001 12/2003 FWD 16 86 63. Function Brake Master Cylinder. Maître-cylindre de frein Suzuki Samurai 1.9 TD HERTH BUSS JAKOPARTS. 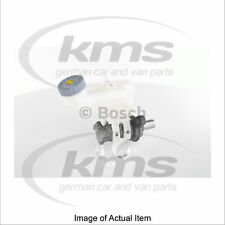 Brake Master Cylinder fits SUZUKI SWIFT Mk2 1.3 89 to 01 ADL. Function Brake Master Cylinder. SUZUKI SWIFT Mk II Hatchback (EA, MA) 1.0 (SF310, AA44) Hatchback Petrol 03/1989 05/2001 FWD 6 50 37. SUZUKI SWIFT Mk II Hatchback (EA, MA) 1.0 i (SF310, AA44) Hatchback Petrol 01/1995 12/2005 FWD 6 53 39. 133141B,FHM1339,M 85 038,360219130306,PMD414,PF661,B1056,89177,FBM1043.00,MC1027BE. Freinage : Etriers de freins, plaquettes, mâchoires, disques, tambours, kit de freinage, maître cylindre. Il est né de l`union entre 2 sociétés concurrentes : Santucci et Sicfa.A partir de 1973, Sasic rejoint le groupe britannique LUCAS.En 1974, Sasic édite son premier catalogue français/anglais dédiée à la Peugeot 404. BLUEPRINT ADK85112 BRAKE MASTER CYLINDER fit SUZUKI VITARA 1988-03 (LHD) 1.6 Kom 4 x 4 5 MTM ATM 10/88>12/89. Fitting Position : -. Quality & Precision. The most extensive and up-to-date catalogue coverage for our chosen vehicle sectors. SUZUKI 5110060830, 5110060B10. Engine Code: G10A; Driver Position: for right-hand drive vehicles; VIN: JSA; or; Chassis no. to: 250000; Driver Position: for right-hand drive vehicles; VIN: TSM; or; Chassis no. Part No : ADK85115. SUZUKI WAGON R 1.2i MPV FWD 5 MTM Z12XEP AF68 06/05>12/07. SUZUKI WAGON R 1.3i MPV FWD 5 MTM ATM M13A MA33 With ABS 09/03>09/05. SUZUKI WAGON R 1.3i MPV - GL FWD 5 MTM ATM G13BB MA53 With ABS 05/00>09/03. 1 x Reparatursatz für 1 x Hauptbremszylinder. Pièce No : ADK85115. Manufacturer Part Number ADK85115. SUZUKI WAGON R 1.2 j’ai MPV FWD 5 MTM Z12XEP AF68 06/05 > 12/07. SUZUKI WAGON R 1.3 j’ai MPV FWD MTM 5 MA33 ATM M13A avec ABS 09/03 > 09/05. SUZUKI WAGON R 1.3 j’ai MPV - GL FWD MTM 5 ATM G13BB MA53 avec ABS 05/00 > 09/03. Kit de reconstruction du maître-cylindre de frein avant Suzuki LT-A500F Quad Master 2000 2001. Frein avant Maître-cylindre Rebuild Kit. OBTENIR PLUS RAPIDE! Warranty 1 Year. Faire réparer ! Équivalent à : toutes les boules 18-1012. FITTING SERVICE AVAILABLE. ALL PICTURES OF ACTUAL ITEM. HERTH BUSS JAKOPARTS Maître-cylindre de frein SUZUKI GRAND J3108036. 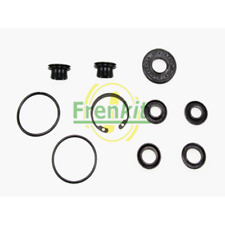 Kit 1 x de réparation pour maître-cylindre de frein 1 x.
SUZUKI 5110083E00, 5110083E00000. LPR, hydraulic program is sold in 76 countries, distributed from 6 countries. SUZUKI WAGON R Hatchback (MM) 1.3 (RB 413) Hatchback Petrol 09/2003 on FWD 16 94 69. SUZUKI WAGON R Hatchback (MM) 1.3 4WD (RB 413) Hatchback Petrol 10/2001 on AWD 16 76 56.